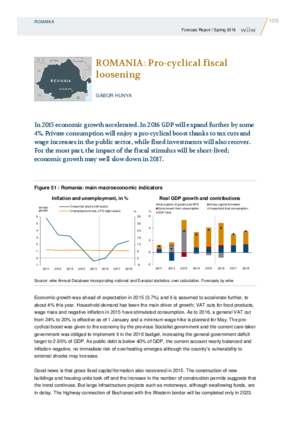 In 2015 economic growth accelerated. In 2016 GDP will expand further by some 4%. Private consumption will enjoy a pro-cyclical boost thanks to tax cuts and wage increases in the public sector, while fixed investments will also recover. For the most part, the impact of the fiscal stimulus will be short-lived; economic growth may well slow down in 2017.